Record a sample and create a re-sorted, rhythmic re-make of it. 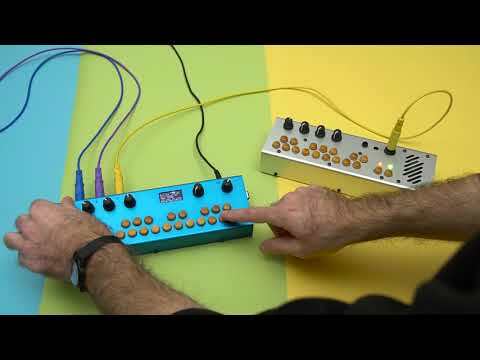 Ypolimenti is a sample looping patch that combines the powers of the Segmenti and Pow Pow’s Polybeats patches! 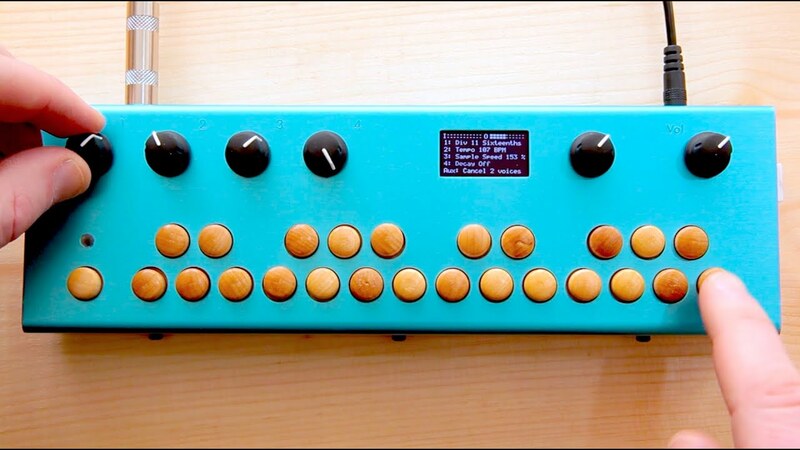 After you record a sample, it is sliced into 24 even segments distributed across the Organelle’s keyboard. Ypolimenti uses the polyrhythmic sequencer from Pow Pow’s Polybeats to loop selected segments at different beat divisions of a single measure. It is a multipage patch – the knobs change roles depending on page. Three page combo patch: adjust the sampler, choose an effect, and use polybeat sequencer to control sample playback. This is a multipage patch - each knob will have different roles depending on page. Foot switch: Controls recording of new sample - two seconds max record time. 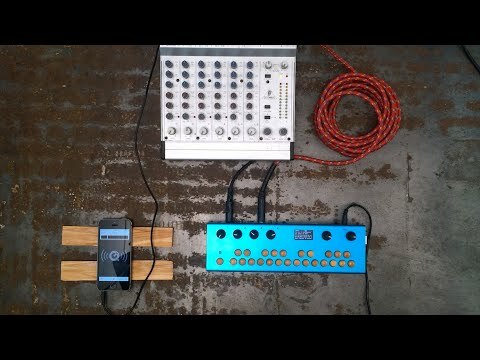 Polyrhythmic sequencer version of the frequency ramping Rampi bass synth. Create swoopy or sharp frequency ramp downs. Then run it through built-in effects and sequencer. 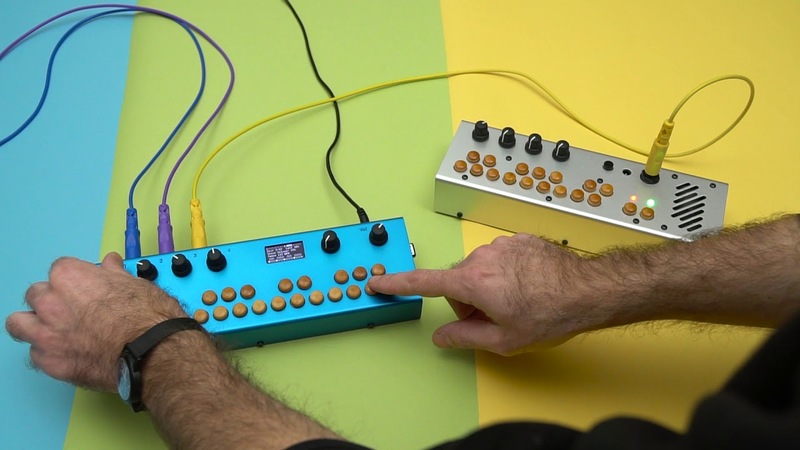 3 page combo patch: Rampi bass synth, choose an effect, and a polybeat sequencer. 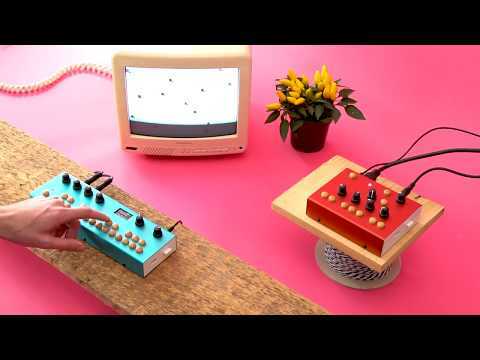 A variation of Pow Pow's Polybeats that has 32 steps and individual volume control for each key. 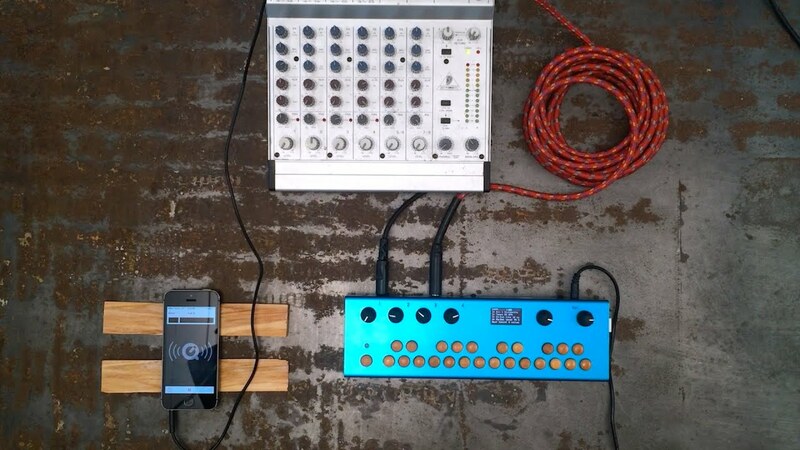 Place different sounds repeating at various intervals to generate intricate polyrhythms. 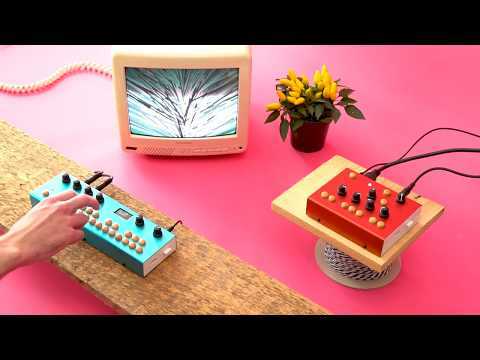 Polyrhythmic drum machine made in collaboration with Christopher Sean Powell (aka Pow Pow of Man Man / Spaceship Aloha / Need New Body). Layer drum samples in a looping sequence to create instant, complex beats! Each key places a new sound in the sequence. The sound repeats at an adjustable number of sixteenth notes. 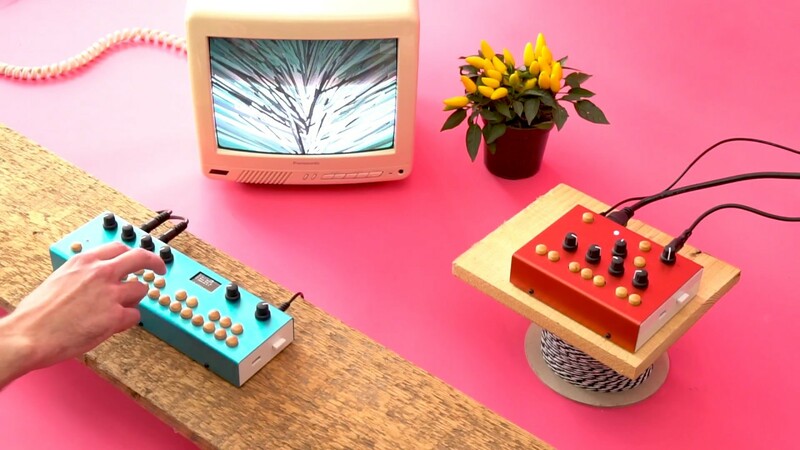 Replace the samples with ones of your own to customize this patch to your music! Link enabled for syncing with other devices on a shared wireless network. The visual keyboard on the OLED screen indicates which keys are looping and their loudness: quietest: a single pixel, medium loud: a '+', and loudest: a filled circle. 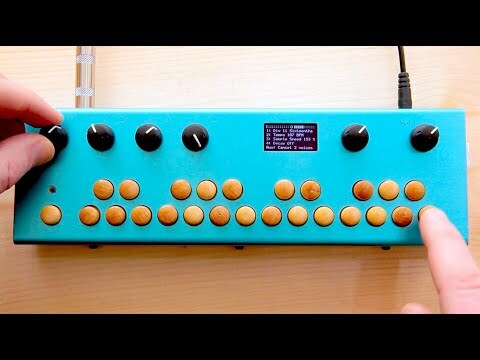 Send the Organelle a sound and effect it with polyrhythmically sequenced bursts of delay and distortion. Rhythm Dly-Dist Vis now has a dry/wet mix control and a new onscreen keyboard to aid with building up loops. 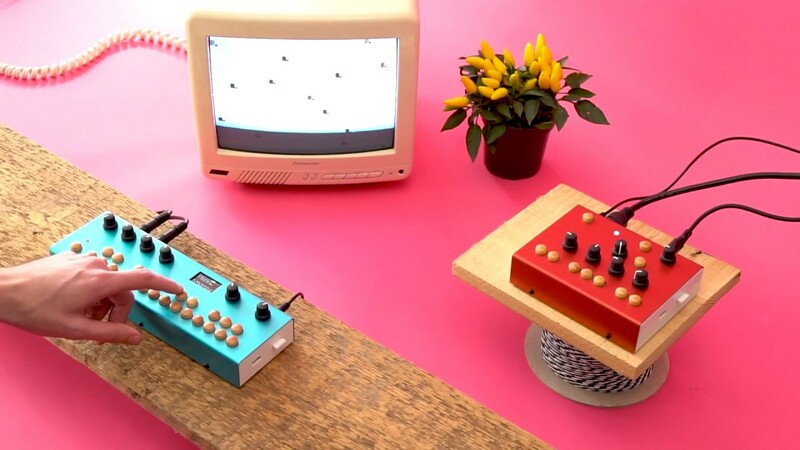 The patch is based on Pow Pow’s Polybeats, but instead of playing samples, the rhythmic pattern you set up on the keys is used to route the audio input through delay lines and distortions. Each Organelle key places an effect in a looping sequence. The effect repeats at an adjustable number of sixteenth notes. The lower octave of the keyboard controls delay time. The upper octave controls distortion. The ‘C’ key in each octave control the shortest effect durations. As you move up the octave, the effect durations get longer, max-ing out at the ‘B’ key. Placing different effects/durations repeating at various intervals leads to intricate polyrhythms and endless fun! Place different sounds repeating at various intervals to generate intricate polyrhythms and endless fun! The visual keyboard on the OLED screen indicates which keys are looping (filled circle).